All of us know that learning a new language requires proper resources and discipline. And it is required the most if you are planning to learn a challenging language like German. Although German is not the hardest language to learn, it is certainly no Spanish or French which are easier to learn. Are you planning to learn German in Delhi? Then, you have to find the best German Language course in Delhi to achieve your aim. Thankfully, as Delhi is the capital city, there are several German language schools here who can help you learn German in a short time. But choosing the best language school can be slightly challenging and confusing. Don’t worry, we figured we would help you out in this decision. So, we checked out some of the best language schools in Delhi and have come to the conclusion that Upfluent is the best language school for learning German. Upfluent Language School is a new language school but it has definitely surpassed all the previously established language schools in terms of facilities and performance. With its limited class batches and qualified faculty members, you can be sure to speak in German after just a few weeks of training. We know that choosing a new language school can be a gamble but trust me, you won’t go wrong with this language school. And will have that certification in no time at all. You will find the following courses being offered at Upfluent Language School so you can select the one which serves your requirements. The beginner course of German consists of two levels: A1 and A2, which you can do together or separately. In these courses, you learn about basic German which can be helpful in carrying out a normal conversation. You learn enough German to be able to introduce yourself and ask basic directions. This course is perfect for anyone who has an interest in German or is planning to travel to German for a short time. Once you get a hang of the basic language, you can go for the intermediate German courses. In these courses, you will be taught how to understand and express feelings which will be helpful in a better conversation. 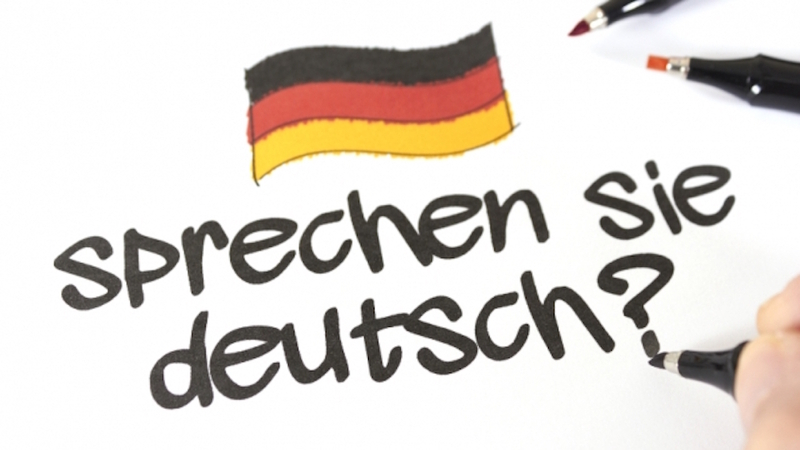 After the completion of this language course, you will be able to speak German as a native speaker and will also be able to get an opportunity to study/work in Germany easily. Finally, there is the advanced German course which again consists of two class levels: B2.2 and C1. In these courses, you will learn how to speak and write fluent German while expressing your thoughts and ideas. Perfect for people who want to become translators of work in a foreign embassy, advanced German language course allows you to write poems and literary texts in German as well. So, if you are planning a dedicated job or thinking of relocating to Germany then this course is the best choice for you. Since Upfluent offers a variety of courses depending on your language proficiency and requirements, it is a popular place to learn German. But that is not all, there are several other reasons why this school is a better option than other German language schools in Delhi. Don’t believe me? Then, read on for yourself why Upfluent Language School is the best school to learn German in Delhi. First, they have a different teaching style and course curriculum. As mentioned earlier, they have divided the German course into several class levels to make sure that you learn German properly and not for namesake. And each of their batches runs for around 8-12 weeks which is less than most other schools. This doesn’t mean that they compromise on teaching but it simply means that they show quick results. The highly qualified faculty found here implements an interactive approach which makes it easier for students to learn German. So, you will notice that only after a couple of classes, you have started understanding and speaking German better. Also, since each batch is small and easily manageable, students get more attention and time to get their questions answered. This allows them to learn better and retain the knowledge easily. Another awesome thing about this language school is that they also provide online live sessions for people who can’t attend the class. I mean, how cool is that right? So, you can learn German from home as well in case of emergencies. Although they do advise their students to be physically present in the class as that is less distracting and more fruitful. Apart from their teaching structure, they also have a flexible and helpful management system. You can give them a call for consultation and they will give you all the details to enrol here. And with their different course levels, you can easily choose the best which suits your needs. Most other language schools don’t offer this choice and only have a single course which either runs for 6 months or has unsuitable timings. Finally, one thing which makes them the best German language school choice in Delhi is that they ensure certification. They have a course to help you pass the Goethe Exam Certification. And if you don’t get it in the first attempt, then they help you re-prepare without charging anything extra. In short, Upfluent Language School is the best institute to learn German in Delhi. They focus on teaching only German which is why they are excelling right now. And their unique and advanced approach to teaching along with world-class faculty members does set them above all the other German language schools in Delhi. So, if you wish to learn how to speak and write German fluently in a couple of weeks then Upfluent Language School is the perfect place for you.